6 Newlywed Couples Share Their Adorable “How We Met” Stories! We all LOVE love stories. There’s just no two-ways about it. 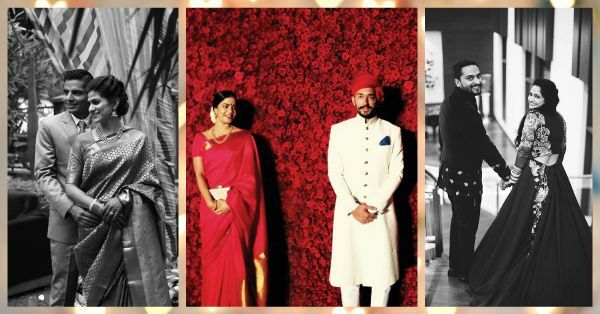 But you know what makes our hearts go all pitter-patter even more than the grand romances we watch on screen? Those real-life happily-ever-after tales that we see all around us. We asked around among our friends and family, and found a few love stories that are adorable enough to melt our hearts. 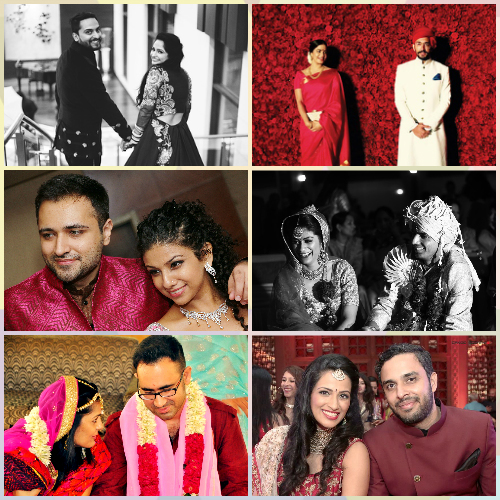 Here are 6 newlywed couples sharing their first-meeting-to-shaadi stories… Tell us yours too? Neha & Puneet, Noida “My best friend was going on a jungle safari with her cousins and she invited me to join in. Since I wasn't up to much, I went for it. That might have been the happiest decision I made! We spent almost 6 days out in that jungle, and of course that meant a whole lot of conversations with the people there! Someone who took a fancy to me was Puneet. He and I had endless conversations and I managed to tell him a lot about myself. Especially the fact that I loved yellow flowers. For the next few days, he would give me one flower every day, and that's how it started. In fact, he left a day or two earlier than me, and when I woke up one morning, he was gone. But what he left behind was a note with my favorite flower. “We kept in touch and we used to travel cities to see each other all the time. He became my best friend and I became his confidante. He proposed to me in Goa on a beautiful evening at the beach. A few years and several holidays together, I had to say,yes! We've been married for two months and he is a much better husband than a boyfriend - and I am loving my life!” * As told by the bride. 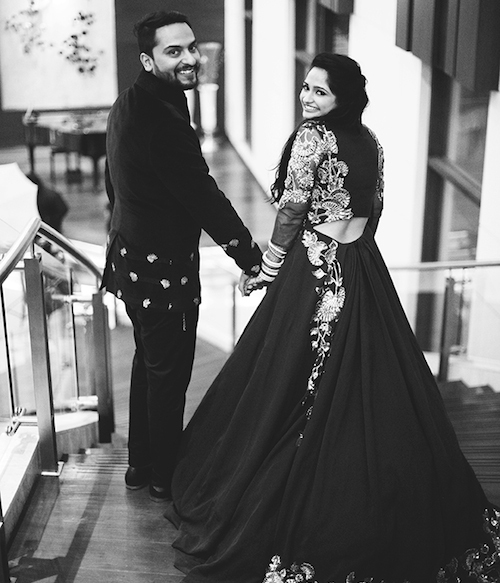 Devina & Akshay, Mumbai “When Devina's friend Sameeya told her she was setting her up on a date with her friend Akshay, she was anything but excited. In fact, she wasn't even sure if she wanted to go on the date at all. Not only was she apprehensive about meeting Akshay, who was a few years older than her, but she was moving to London two weeks later. Plus the date happened to be on Valentine's day, which she thought was pretty corny. Akshay too had a list of criteria he was looking for in a girl, which included that she be his age and she live in the same city as he didn't want to get into a long-distance relationship. ‘We were pretty much set for disaster!’ Devina exclaims. ‘I only went on the date because Sameeya and my best friend literally begged, convinced and pushed me to do it!’ “Needless to say, the date was a huge success. The two had an instant connection and continued to keep in touch when Devina moved to London. Soon, they found themselves in a long-distance relationship and he even visited her a few times in between her trips to India. 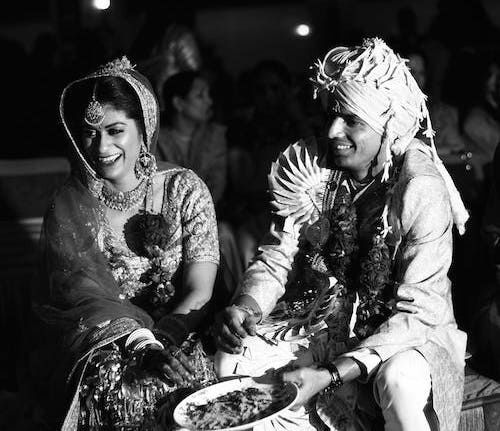 Two years later, Akshay went down on one knee and asked her to be his wife. 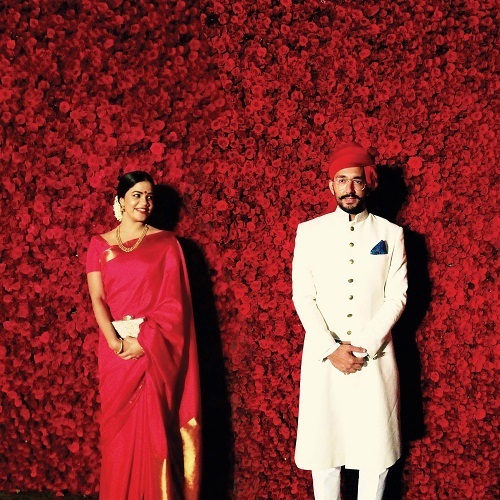 They had a fairytale wedding a month ago and Devina moved back to Bombay for him. They made it against all those odds and couldn't be happier!” * As told by the bride’s friend. 3. Love At First Hit! Kanika & Sanam, Chandigarh “With Chandigarh being such a small town, Sanam and I had always known of each other as the tennis player and golfer from the city. However, our paths had not crossed. On one usual afternoon, in 2005, I was at the golf range, practising, and all of a sudden a golf ball came flying out of nowhere and nearly hit me! “I looked up to see which crazy person could have hit such a mis-aimed shot, and there was Sanam apologizing to me! Since we'd never met, I wasn't quite sure if it was him. Then someone called out to him, which confirmed my suspicion! We had a common friend who invited us over for breakfast the next day and hence was planted the seed of our friendship. Little did we know as 17-year-olds that it was to end in a lifelong partnership! “We dated for only a few months before I went off to America on a golf scholarship in 2006. That first year apart was tough; but for some reason we were suckers for punishment and continued to be together! A year later, Sanam came to America on a tennis scholarship, but to add some more KJo twist to the kahani, he was on the opposite coast - long-distance galore! “Four relocations, four academic degrees and perpetual long-distance later, we decided to finally seal the deal! And where better to have our wedding reception than at the golf range where my now husband almost took my head off 10 years ago? !” * As told by the bride. Eureka & Yogsh, Mumbai “Before he found his partner and soulmate, Eureka, Yogsh would sometimes wonder how people bumped into the ‘one’. Little did he know that she was about to join his office in Mumbai and sit right next to him. “On the first day, he offered her a sandwich. Over the next few days, one sandwich led to another, and casual chats to intense, philosophical discussions on passion, purpose and the many meanings of life. “These conversations were the beginning of a rare connection, which neither had experienced before. While the two of them focused on their careers for the next few years - eventually changing their workplaces - their friendship grew along. When it was time to think about marriage, they could think of no other. After all, as they had casually discussed over a sandwich, the best marriages are those forged over friendship. Eureka and Yogsh completed an unusually blissful first year of marriage in November.” * As told by the bride’s sister. Aditi & Saurabh, Gurgaon “Me and my friends are huge fans of music festivals, and especially the ones that take us to beautiful places like Jaisalmer! So, a few of us set out for Ragastan. Saurabh was there with his friends too. We met at the music festival and immediately there was a connection. While everyone was at the various music stages, he and I would camp outside our tents and listen to our own music. We didn't even exchange numbers at the festival, but we knew it was unstoppable. “When we got back, he found my number on my website (I'm a graphic designer), and he got in touch with me. We went out on our first date then, which was super casual. But we couldn't help but meet again! That's how our journey began. It's been so beautiful ever since, and we create our kind of music every day!” * As told by the bride. 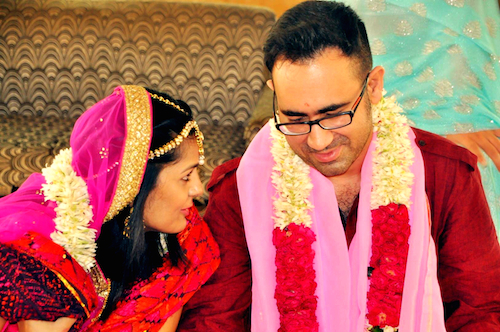 Pragati & Varun, San Jose “Yes! He actually found his life partner on a dating app! Varun was working with an IT firm in the US and dating someone for the longest time. Unfortunately, they happened to break up, and that’s when he decided to come back to India for a mini break. He’d been on Tinder all this while. Just like most of us are! Just for the heck of it! One fine day, his sister and best friend decided to mess around with his account and swiped right on a girl they knew would never even give him a second glance! As luck would have it, Pragati too showed interest. “He happened to meet her just 3 days before he was headed back to the States and Cupid struck. The two met up for the next two days too and started having long Skype chats after he went back. 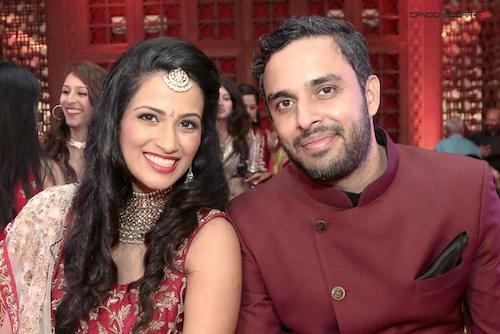 Fifteen days after he left, we got a call from Varun telling us that he wanted to marry Pragati! He had even Skyped with her parents by then. Two months later, he flew back to marry the woman of his dreams! It’s been 6 months since the two of them have been happily married.” * As told by the groom’s sister.